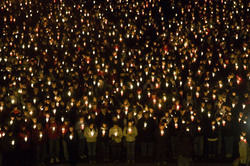 Candlelight vigil held on the drillfield on 4/16/08, A Day of Remembrace. 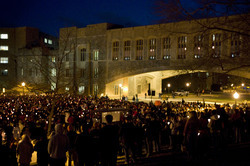 Burruss Hall seen in the background. 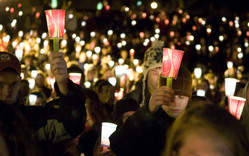 Candlelight vigil held on 4/16/08, A Day of Remembrace. 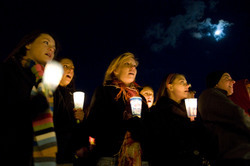 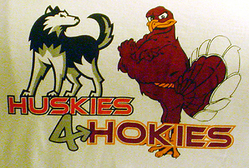 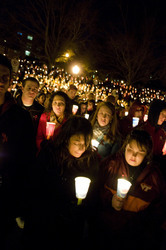 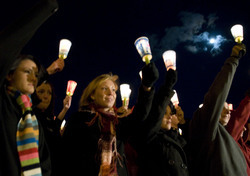 A candlelight vigil held on 4/16/08, A Day of Remembrance. 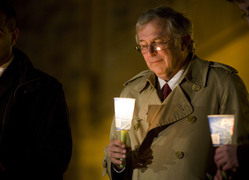 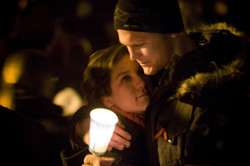 Candlelight vigil held on one year anniversary of 4/16. 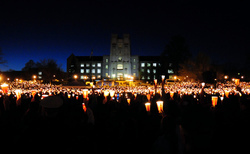 On the drillfield with Burruss Hall in background. 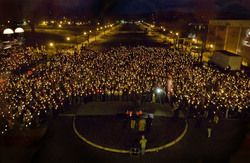 Christiansburg resident David Cunningham made this laser etched marble scene of the candlelight vigil on the drillfield.